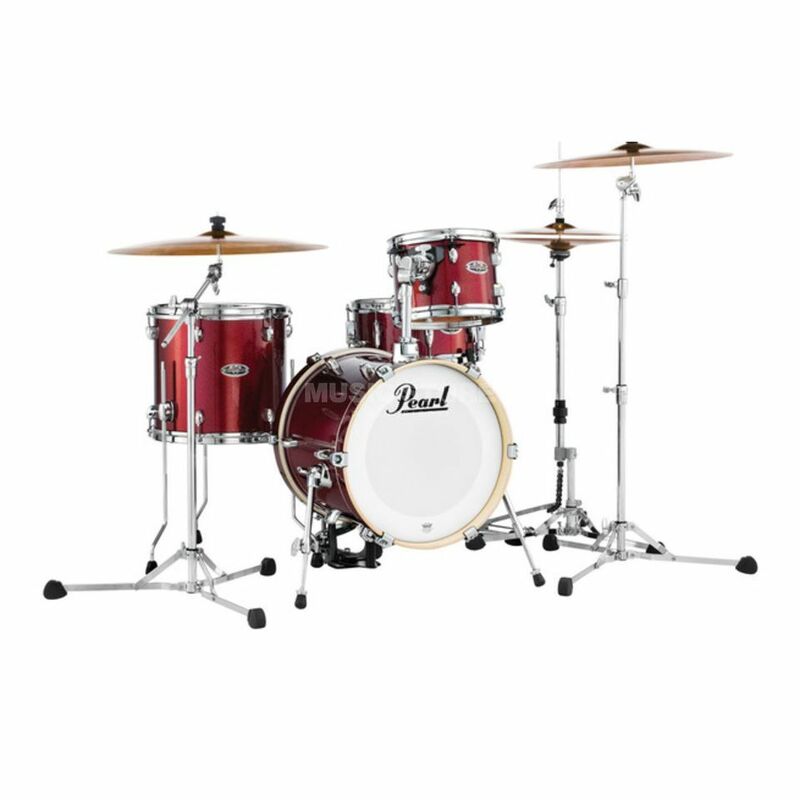 The Pearl MDT764P/C704 Midtown 4-Piece Drum Kit Black Cherry Glitter consists of a 16" x 14" bass drum, a 13" x 12" floor tom, a 10" x 7" tom tom, a 13" x 5.5" snare drum and a black cherry glitter finish. Designed for use on stage or even on the street, the ultra-portable Midtown drum kit is ideal for gigging drummers, offering a full-size experience in a compact design. The compact size of the Midtown range creates a unique sonic statement through 6-ply poplar shells that deliver a crisp sound with plenty of response. Tamanho timbalão chão 1: 13"x12"
Tamanho de bombo: 16" x 14"